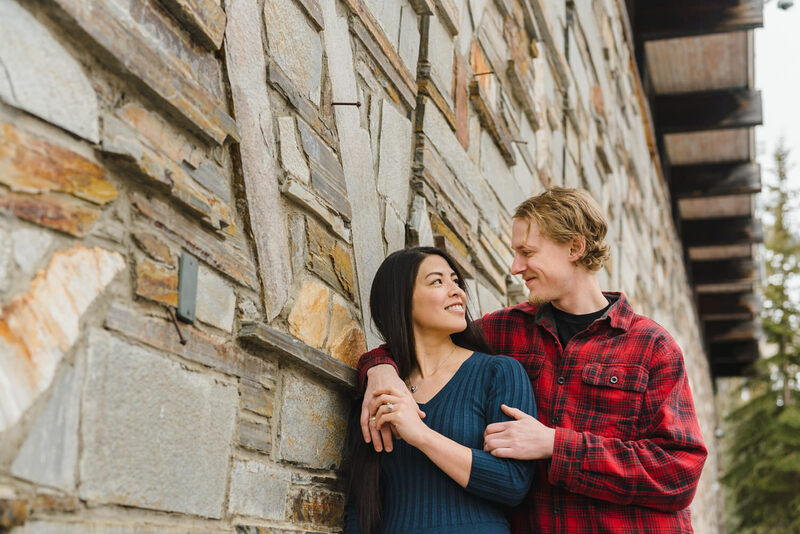 A ski resort engagement session is ideal for mountain-loving couples. 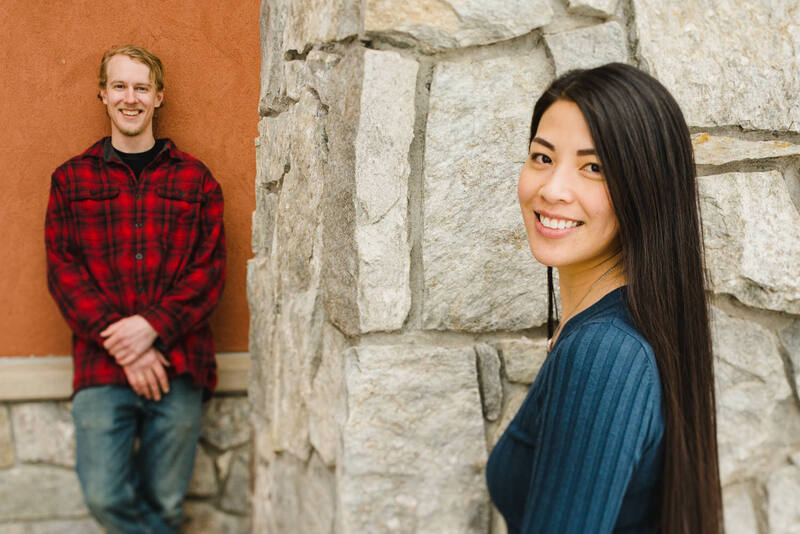 This set from Justine & Eric’s session was shot at Solitude Mountain Resort in the Solitude Village. 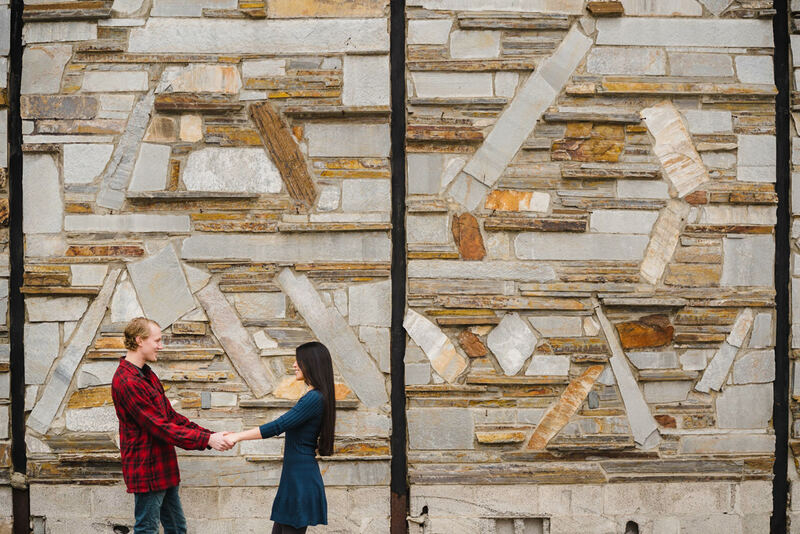 The locations offers quick access to snowy alpine backdrops, as well as interesting buildings that serve as a rustic-chic canvas. We started the session in front of the old admin building. I’m obsessed with the edifice’s layers of rock, which creating some engaging leading lines. A set of nearby logs caught Eric’s eye so we made sure to move over there. I mention this, because always always always encourage couples to help creative direct on set if they see something I don’t. 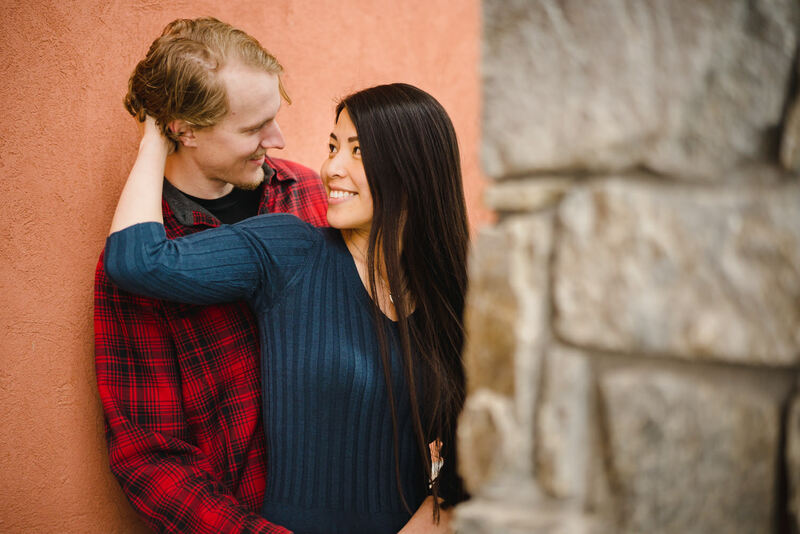 During my consultations, I make sure to let couples know that my style is incredibly spontaneous and reactive to capture their unique vibe and story. I think the best gift I can give a client is to listen, so that’s what I try to be the best at. 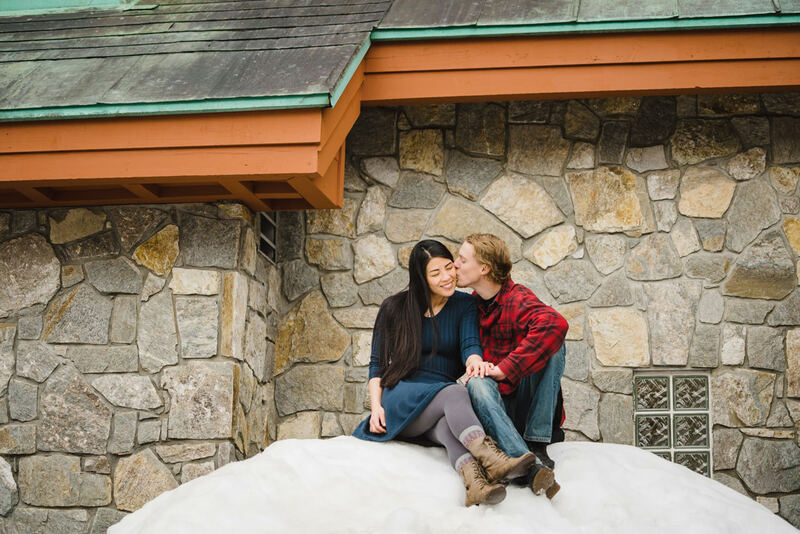 Solitude Village is in close proximity to wild woods, so we made sure to duck in and document how playful these two are with each other. 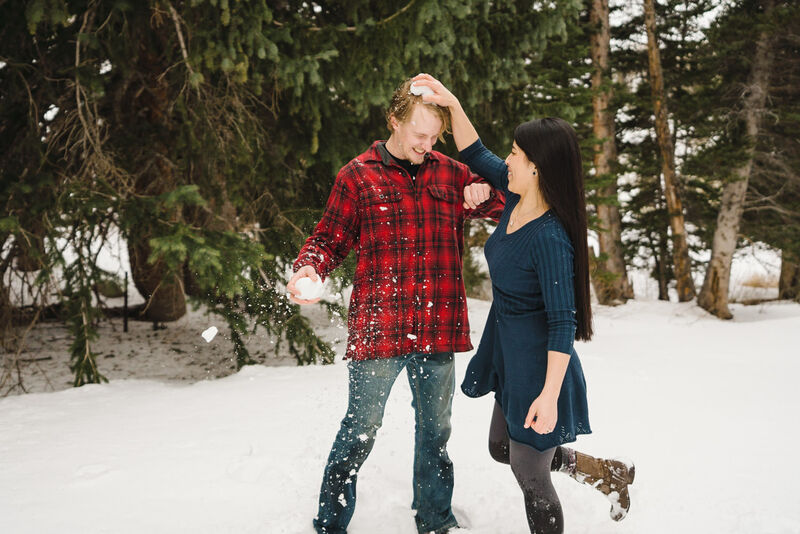 To Eric’s credit, despite getting pummeled with snowballs, he is quite the gentleman. Good job, man. 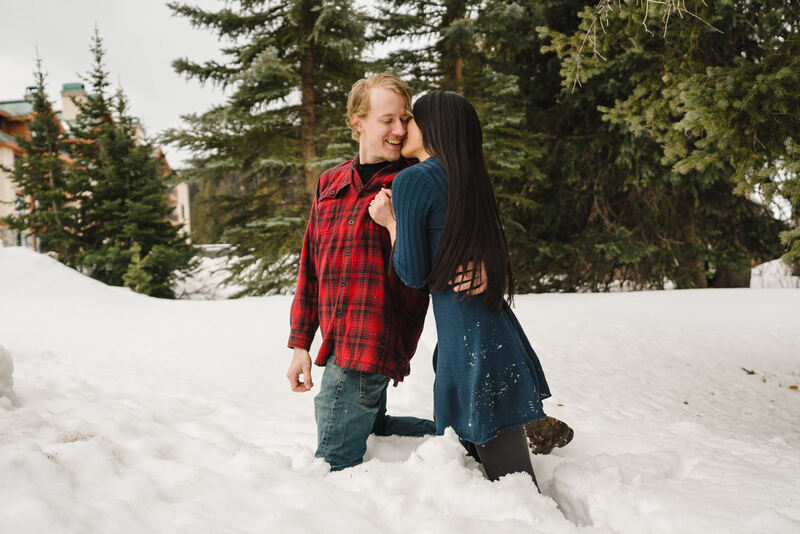 The sparks were flying and when these lovebirds kissed, you could basically hear the snow sizzle beneath them. 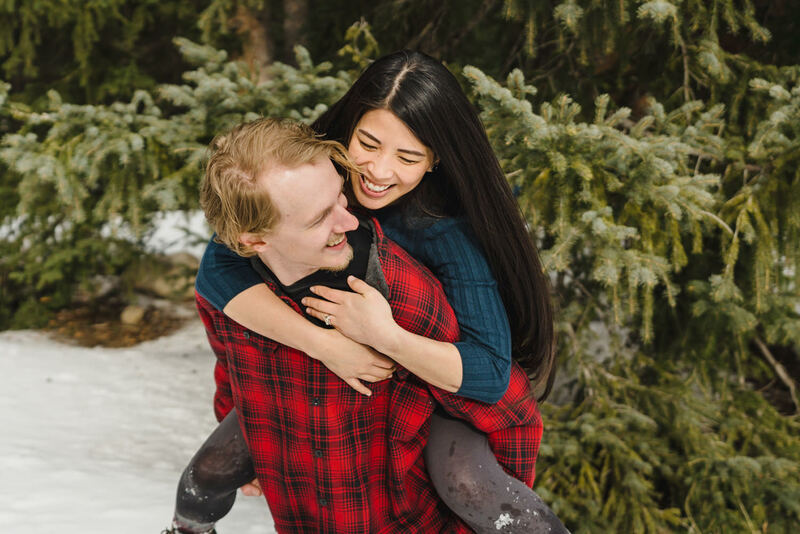 Since we sought to have some varied photos in casual, comfy clothes before putting on skis and venturing on the mountain, it was ideal to shoot this session first. 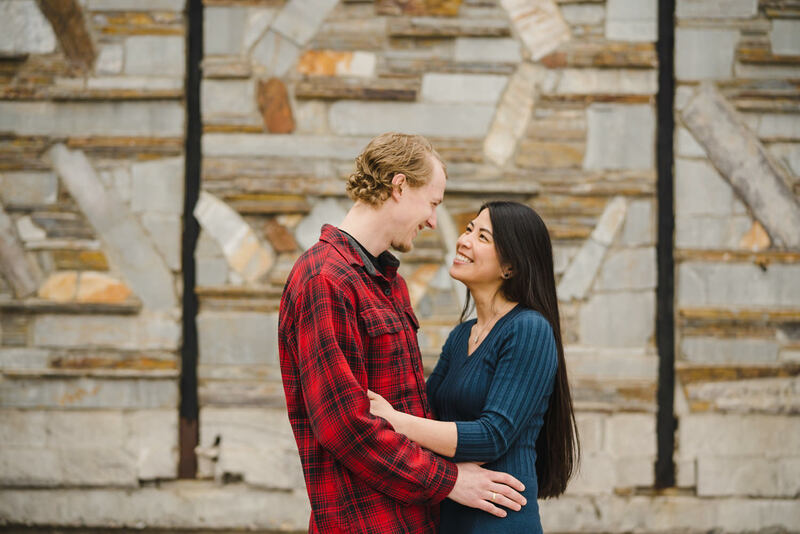 I think it worked out quite nicely, and the couple now has a solid foundation and the beginnings of their visual legacy. 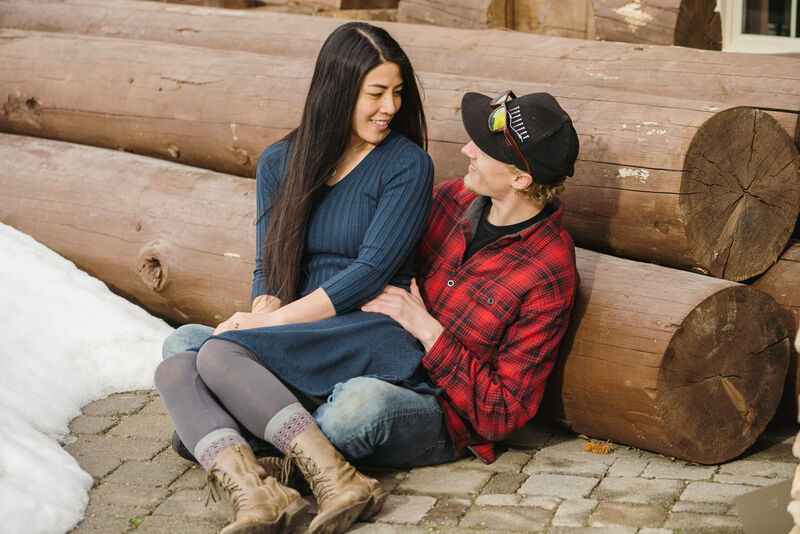 Be sure to see the second part of the session, Solitude Engagement Photos on Skis. 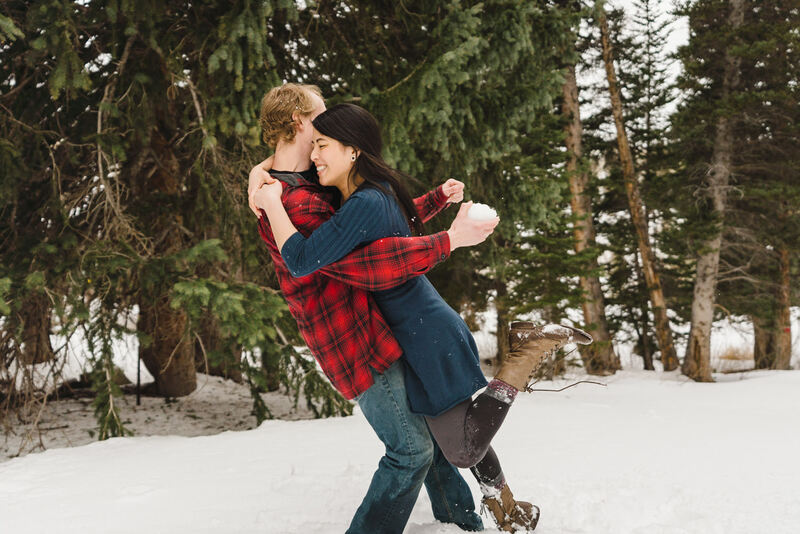 Also, if you’re looking for a spot in Big Cottonwood Canyon for your celebration, be sure to check out Solitude Mountain for your a wedding venue.